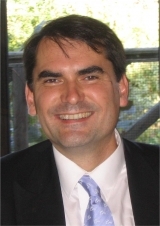 Thierry Auger is Deputy CIO and CSO at Lagardère and a member of the Innovation Prize jury. He explains the jury's expectations regarding the participation of startups in the Innovation Prize 2019. What does the Innovation Prize represent for you as a jury member? Every year, the Innovation Prize offers the possibility of finding new solutions and new concepts that help us to best do our jobs as CISOs. It’s also an opportunity to measure the maturity of the French and European ecosystems, compared to what is being done by the global leaders in the cyber field, the United States and Israel. And with the increase in cyber threats, it also lets us identify what can help us improve our effectiveness by replacing old technologies with solutions offering high added value. What do you expect from the applicants? Naturally, we expect real innovation. First, breakthrough innovations implementing new capabilities and new technologies, but also innovative uses that can offer a lot of value by differently and intelligently integrating previously identified concepts or technologies. What can make a participant stand out? We always look for a usable product. The idea of this prize is to promote young innovative companies, offering them a chance to attend Les Assises, provided they present a concrete, mature and deployable technology. Every year, we receive applicants with good ideas, but whose product sometimes isn’t yet finished. So, they are perhaps applying for the contest a bit too soon. We take that into account in our evaluations and ratings. We’re always looking to award the Prize to a company with true ability and that can develop sustainably over coming years. The idea is to promote companies that will last and therefore develop their activity. Last, we also look at the company’s capacity, its organisation and the people promoting the project who can develop their concept. What aspects of cyber security are most in demand today? We are going to be looking for technological solutions that help our organisations gain efficiency, visibility and pro-activity, and that simplify the ecosystem of solutions currently deployed. The goal is to make it easier to manage all of the resources we have to deploy in the company, whether for the IS security teams or for end users for whom we need transparent uses. What advice would you give applicant start-ups? Take the time to answer all the questions fully, identify the added value that you might offer, describe what you’re really doing, how you operate, what’s behind your idea, and most of all, demonstrate that your product is finished, that it is mature enough to work in the corporate ecosystem. There has to be a true concept, providing a true capacity and the ability to insert it transparently in the information system. I encourage start-ups to apply if they meet the criteria, because the Prize can be a real springboard, a form of promotion that will save them time.